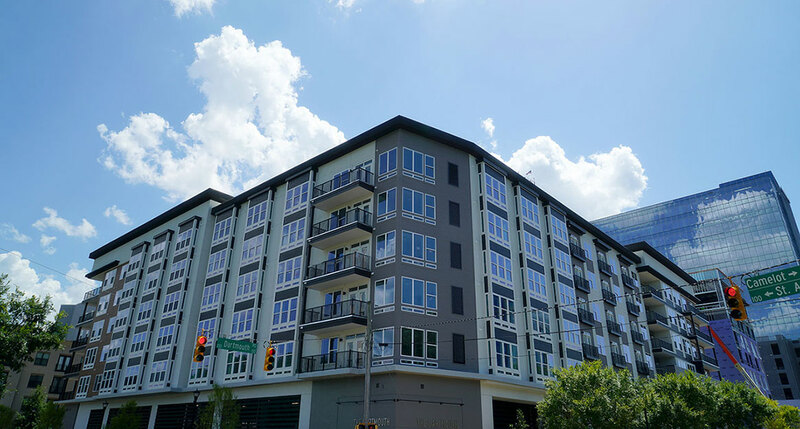 Through its Debt & Structured Finance team, CBRE Capital Markets has arranged $29.3 million in construction and mezzanine financing for The Dartmouth, a 171-unit luxury apartment building rising at 104 Dartmouth Road in Raleigh. Mark Fisher and Alex Furnary of CBRE’s Midtown Manhattan office arranged and coordinated the loans on behalf of Kane Realty Corp., the project’s developer. SunTrust Bank provided $24.5 million in construction financing, while Federal Capital Partners provided mezzanine debt in the amount of $4.8 million. “With sub 2.5 percent construction financing, the blended rate of the capital stack was extremely appealing,” Fisher said in a news release. The first units in the smoke-free community are scheduled for completion in the third quarter 2016. Amenities include a clubroom with billiards, poker lounge and smart TV’s, business center, saltwater pool, fitness center, entertainment kitchen, bike storage, pet grooming and washing station, gated parking, electric vehicle charging stations and a controlled access system. Residents will also enjoy luxury finishes such as 9′ ceilings, open kitchens, granite countertops, stainless steel appliances, hardwood floors, balconies, as well as washers and dryers. The upcoming mid-rise residential complex is part of the 2 million-square-foot North Hills live-work-play community (pictured) Kane Realty has been developing for the past 15 years.